As a kid who is of the Space Invader generation – ie I remember when Space Invaders hit the world’s roller skating rinks and pinball parlours, I was told in my teens that Japan and in particular Tokyo is the mecca for all things gaming related. It is true. Game centres can be found all over Japan – and that is the phrase – taken from english – which they use to describe them. Though it is pronounced as Gem Centa. They can always seem to be found in giant shopping malls; particularly at the Jusco Department stores. Here though, don’t expect pinball machines and arcade type games as th whole set-up seems geared toward the under 12 market. Modern game centres with action games etc are found in the busy streets of bigger cities like Tokyo and Osaka and are often found near movie theatres. The Jusco Game Centres are a ton of fun and most games cost 100 or 200 yen. Most games spit you out a card at some point during the game (see image) – and kids can often be seen gathered in groups armed with their card binders and sleeves, proudly displaying their collections. I’ve never seen the value myself, and much prefer putting the money into one of the lucky dip/gift machines where at the very least you are gauranteed something for your purchase. Either that or one of the numerous photo booths which – although rather tacky – at least you show something for your purchase and get a unique memento of your visit. The photo booths are usually straight forward to operate – though if you do have a problem, call an attendant who’ll assist you. I guess having these smaller type game centres in a mall gives the kids a break after shopping with the folks. It does seem a tad bizarre, but at the same time not out of place. There is usually a food area adjacent the machines which serve anything from milkshakes, ramen noodles, fries, soda etc etc etc. Running is very popular in Japan – and if you are an avid fun-runner like me – it means the news is all good ! The country already had a great fascination with the sport before Sydney 2000, but when a young female runner named Naoko Takahashi won gold at those Olympics, greater interest was assured (her time was 2:23:24). The year kicks off with Ekiden – which are three days of long distance relays. So from New Years Day, you can tune into the race via TV and watch some high quality athletes compete in very cool weather. 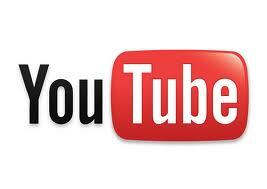 There is also The Tokyo and Fukuoka Marathons both of which attract the worlds elite runners. For the shufflers and enthusiasts like me, best places to run in busy Tokyo are the pathways in front of the Imperial Palace. I once stayed at the Shiba Park Hotel and when I enquired about a local running route, they not only gave me a map but a pass to waer around my neck – (which included directions to find me way back to the hotel and a message which said “this maps holder is a guest at the hotel – in case of emergency our contact details are…’ How cool is that ! The running course they advised was great as well. Very scenic. The course is basically a loop around Shiba Park, which included mostly flat areas and some slight hill work – but you would pass Tokyo Tower during the circuit and the very scenic Zoujyouji Temple. I would guess that the loop was around 2km and in summer it is definitely best attempted in early morning or late evening due to humidity. There are a couple of running magazines worth checking out and can be found in most big newsagents, or book stores. I quite enjoyed Runners Magazine – which was priced at 730 yen and included future events etc. They are online here. On many occasions I ran around local villages and mountains. You just cannot beat running along small roads through rice fields as the locals cheer you on with cries of ‘gambatte’ which in this situation translates to ‘good luck/keep going’. The word for newspaper is shimbun – and again, it’s essential word to know. The Japanese are nuts about newspapers. I read a few years back that per capita, Japan has the highest circulation of newspapers; maybe this has altered somewhat with the introduction of online print media, but it would be still close to accurate. The big three dailies are the Yomiuri Shimbun, Mainichi Shimbun and the Asahi Shimbun. The Guinness Book of World Records states that The Yomiuri Shimbun is the biggest commercial newspaper in the world. Of course there are smaller newspapers dedicated to regions or prefectures ie Ibaraki Shimbun, Hokkaido Shimbun, Sankei Shimbun etc. Our newspapers were delivered by the postman on a motorcycle at some ungodly hour – and most days they are crammed with colorful advertisiing material or ‘junk mail’. The two largest newspapers for English speakers are The Daily Yomiuri (printed by the Yomiuri Shimbun) and The Japan Times. They are far easier to find in the bigger cities – I often could not locate an eigo no shimbun (English language newspaper – another phrase to make note of) when I was in more remote locations, but newsstand at train stations would be your best bet. My local library used to receive a copy of the Japan Times each day as well. Both of these publications – The Japan Times and The Daily Yomiuri can be found online and there is tons of useful info on these sites. You may also wish to check out The Asahi Shimbun Personally, I much preferred grabbing a coffee and newspaper at the station, perusing it as I awaited the train, then glancing at it throughout the day; before reading it thoroughly upon days end. Some meanings: Asahi is the Japanese word for ‘morning rising sun’. Mainichi means ‘everyday’. The Yomiuri Shimbun can be translated as ‘a newspaper with its headlines being read (yomi) and sold (uri) on the streets’. Why are Japans vending machines such a hit with foreigners ? It could just be the variety and efficiency of the things. The Japanese word is Jidohanbaiki and it’s a useful one to lock into your brain. The country thrives on vending machines – and you will find them literally everywhere. I love em and they have captured my imagination since day one. Why my obsession with them is cos there is something about them which intrigues and fascinates me. Maybe this is a spin off from my pinball crazed days as a kid. In other countries, vending machines are bolted down and caged up to prevent theft and vandalism, but in all this time I am yet to see one machine here vandalised….and there are a reported 5 million of them ! How good is that ?! Another nod for Japan. There are a variety of makers and content with vending machines though primarily you will find hot and cold drinks. The canned, sweet tasting coffee is some of the tastiest I have tried. In winter, I used to prefer Max Coffee, the large canned American Coffee, or Royal Milk Tea, but have recent switched to the cocoa. Smaller canned coffees such as Wonder Coffee are good too, but can be quite strong – maybe you’ll need that if you’ve got a long day of English lessons in front of you. 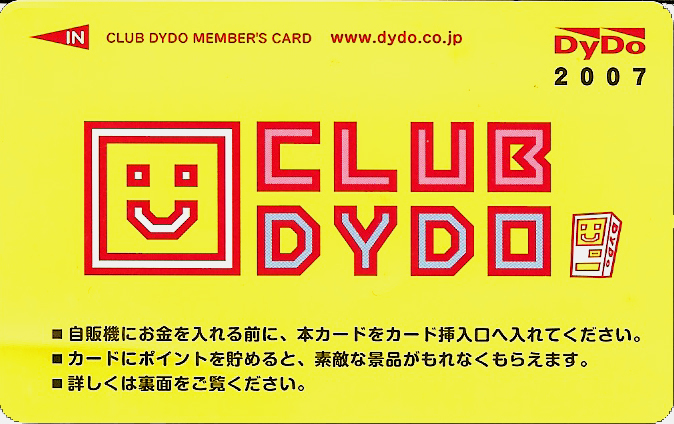 Some machines such as the ones from the Dydo company offer a point card. You obtain a point card when you make your purchase, then insert the card each time you make a subsequent purchase, thus accruing points. When you’ve accrued enough points you can redeem them for a range of gifts. The point card system is very popular in Japan and is in use when buying many other products…ie donuts, books and CD’s etc. Some machines have a game upon completion where if you get three matching lights (or similar) at time of purchase you can be another selection for free ! I’ve been told that Thailand has something of a vending machine culture as well, though not on the scale of Japan. It’s amusing when you return to your homeland and see that lack of variety with the vending machines. When I’ve told people over the years about this phenomenon they often are repulsed at the thought of canned coffee. Fools. Hot and cold drinks, beer, sake, hot chips, noodles, disposable cameras, eggs, cigarettes, magazines and other products can be purchased via vending machines. Prices for hot and cold drinks average out from 100-120 yen. As an English speaker, Eagle 810 was the only radio station I bothered with. The broadcast range is quite wide and I’ve managed to pick it up the signal in the car from quite far away. This is the radio broadcast for the US Armed Forces. When I lived and worked in Japan the kitchen and car radios were set on this station. It would appear to be staffed entirely of military personnel. Their format was great and quite interesting. The morning show used to play 70’s or 80’s – and was known as the Retro Cafe. The hourly news and weather broadcasts were vital for me, and I enjoyed the shows which were aired from America – especially NPR and Paul Harvey. You have to remember that the station is geared towards military personnel and not Joe Citizen from Chicago who lives in Yokohama and is teaching English. So do not get all up tight with the past stories of heroism and bravery which are often told, or the fact that many of them are oblivious to what is happening ‘outside the gate’ – that’s just how it is. You can tune in, funnily enough – at 810 on the AM dial.